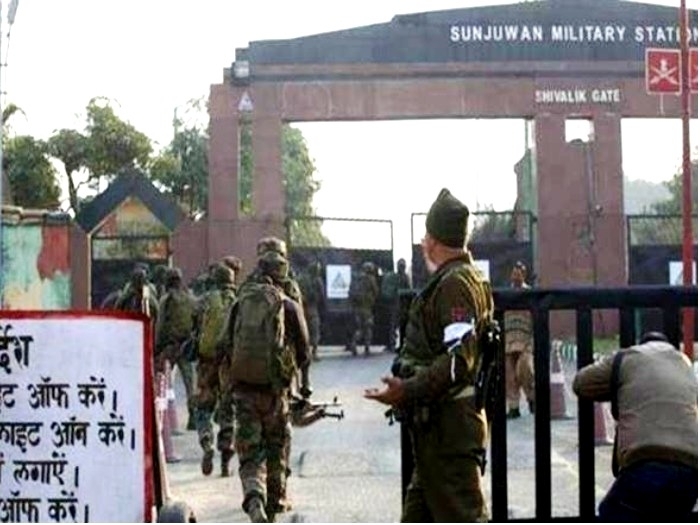 Jammu, February 25: The Indian Army on Saturday lodged an FIR against unidentified people for pelting stones at Sunjwan army camp which was recently attacked by a group of three terrorists belonged to Jaish-e-Mohammad (JeM) terror outfit. An Army spokesperson today said that a group of unidentified people pelted stones at the Sunjwan army camp along the Jammu-Pathankot bypass on Saturday morning. "The stone pelting was done on post number 12, which is adjacent to the area which was the suspected entry point of three terrorists," the spokesperson added. The spokesperson also noted that the FIR was lodged last evening. “The police carried out inspections in the area from where the stone pelting was done,” he added. "Some suspects were identified by the police," the official said, adding that the police was keeping a vigil. Meanwhile, a senior police officer said an investigation was underway in the case. The incident comes few days after National Investigation Agency (NIA) registered a case in connection with the Sunjwan army camp attack in which six army personnel were martyred while nine others were injured including women and children. On 10 February, a group of heavily armed terrorists belonged to Jaish-e-Muhammad terror outfit stormed into the Sunjwan army camp in Jammu and Kashmir, after hurling grenades and using automatic gunfire. In this attack, six army personnel and one civilian were also killed while 11 others were injured. However, after 24 hours gun fight, Indian security forces eliminated all four terrorists. Importantly, the terrorist had attacked the same army station in 2006. Twelve soldiers were killed and seven others were injured in that attack before the two fidayeen (suicide) terrorists were killed.